Let's start with the title. I like it. It's straight to the point. 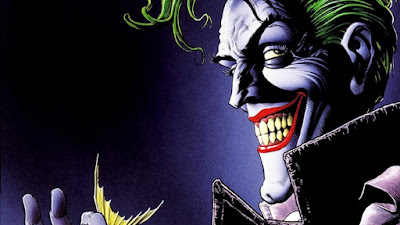 Its succinctness reminds me of Logan, and here's hoping Joker can be of that movie's quality. I think we were all expecting it to be something like Joker or The Joker anyways, so this isn't that much of a shock. I thought there was a chance it could be The Killing Joke, as I think the movie's story will borrow elements from that graphic novel. Regardless, Joker is a good title. I also really like the October release date. It shows just how different of a comic book movie this is going to be. It's not going to be a big blockbuster summer film, nor should something like Joker be that. It will be a far smaller character study, and an October release date reflects that. It also shows that perhaps Warner Bros. is looking at getting some Oscar buzz. Now, it coming out in October doesn't guarantee that. Thor: Ragnarok came out in November and Aquaman hits in December, and those aren't Oscar-aspiring films. Just because Joker is coming out in October doesn't mean they're hoping for Oscar buzz. However, it does have a better chance of that being the case with it coming out in October than if it had been slated for April for example. 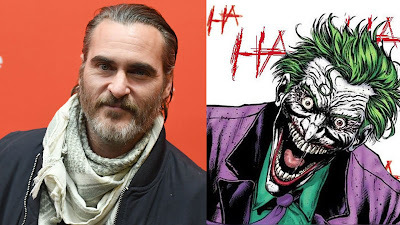 It's far too early to worry about whether or not Joaquin Phoenix will get nominated for the role. What's important is that we now have a title for the film, and we know it will be hitting theaters next fall. What do you think? Do you like the title Joker? Is October 2019 a good release date for the film? Are you looking forward to seeing the movie? Leave your thoughts in the comments section below.